I am writing this on Wednesday evening and by the time this is posted on Thursday, I will be 300 miles north. It is another fishing trip for me in my favorite part of the state, namely, "Up North." As part of this trip we will be visiting my daughter who is up there working on an internship for the Clean Boats/Clean Water program. It is focused on invasive species awareness and education. She will be spending the wholes Summer there. While I originally feared she'd be homesick and bored, all reports are quite the opposite. She says she's never coming home. I can't say I don't envy her. She basically has a dream job that is 4 days on, 3 off, spent at various boat landings. 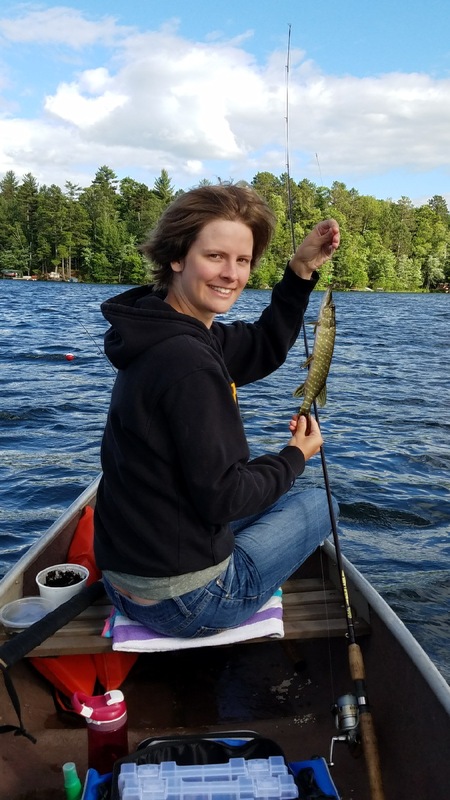 On her off days she fishes, reads and hangs out at her cabin. Yesterday she texted me a couple of fish pictures, and while they were small, she was fishing and I was not. 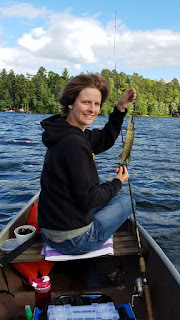 In fact, her friend/roommate from the cabin actually went back home to get a canoe so the two of them could get out on the water for better fishing. It's these kinds of things that make me think I've instilled the love of the outdoors in my kids. It's hard to explain what makes this place we call "Up North" or "The Cabin" so special in out family. We've been going up there nearly every year for the past 15 years or so because we are drawn to it. There's something about the slow change in the terrain once you pass Wausau. The trees get taller, the sky gets bigger and the air gets cleaner. Once we're up there, the noise level drops and you become aware how noisy your life back home is. If you're on a lake, you have access to beautiful sunrises and sunsets. I can feel my blood pressure lower the minute I get out of the car. It is a magical place. And for the next three days, I'll be part of that magic.